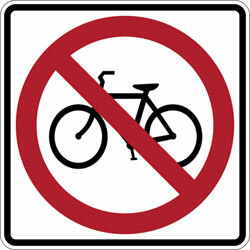 So, as you know if you've been reading this blog, it is currently prohibited to move around my work campus on a bicycle. In fact, it has always been the case but, until very recently, it was one of that type of rule which is quite common in Spain, one that you can basically ignore. The current state of affairs is that they will allow me in to the campus on the bike, provided I go straight to the gym and do not attempt to reach the office bikewise. You have to fight these rules like-for-like: just as there is no name behind the decision, I am contesting it by pulling some strings behind the scenes. So far I have been told on good authority that there will be a "solution" in September. This rather begs the question, what kind of solution can there be other than the obvious, immediate one of just simply letting us ride our bikes on campus again? Today my heart skipped a beat as it occurred to me that the reason they are resurfacing the road might just be that they are going to put a bike lane! Could it really be? That would be quite simply awesome. It would also have the result of forcing the cars to go in slightly narrower lanes which would give the added benefit of reducing their speed and it being more likely that they stuck to the 40kph speed limit. The punishment for speeding on campus is very severe, much worse than a fine or points on your license: they may banish you to the outside world by taking away your parking space, thus adding a lot of hassle (to the tune of about an hour a day) to your life.